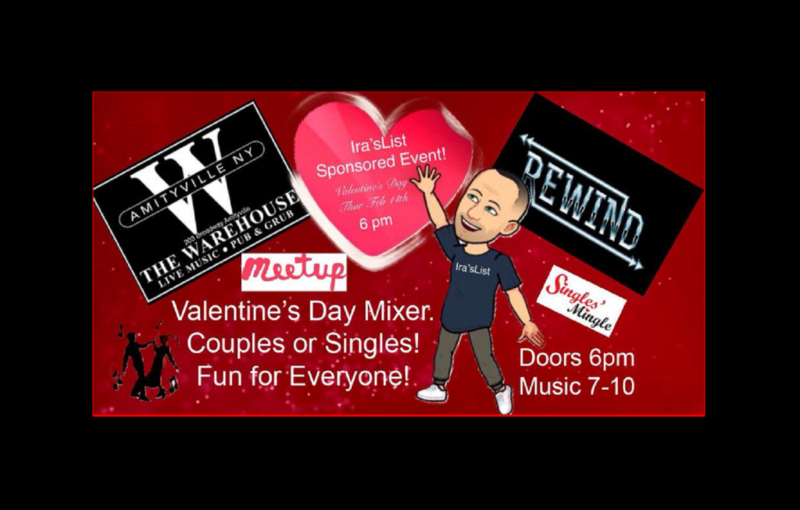 Ira’s List and The Warehouse presents a Valentine’s Day Social Mixer with great Long Island band REWIND. This event is geared for both couples and singles. It is being shared with many of the Social Media Singles Groups, Meetup’s and Live Music groups. 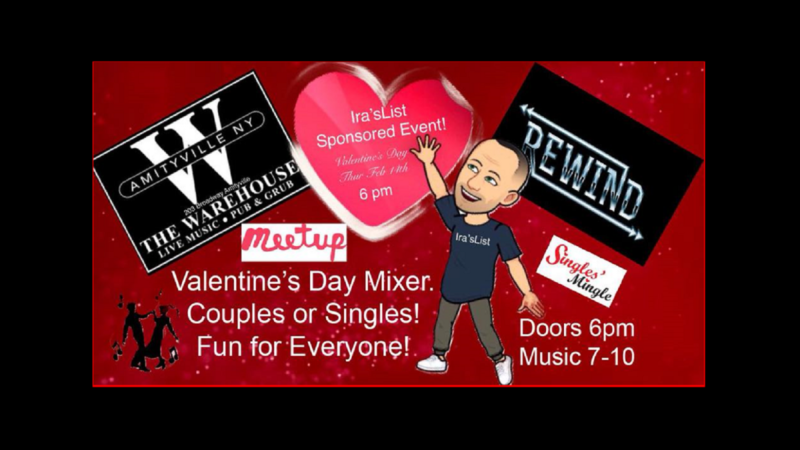 REWIND will be playing all your favorite dance tunes and the event will be a great way to spend Valentine’s Day as a couple or single. Tired of the usual bad service, long waits, and expensive restaurants on Valentine’s Day? Why not do something different this year you will truly enjoy! Our Pre-NYE Party was a lot of fun with REWIND, this event will be no different! Doors open at 6pm. Music from 7-10pm. Reservations for dinner and tables 631-238-1820 recommended. $10 Admission for all.